I drove almost 50 miles and an hour and twenty minutes round trip to sample a cupcake yesterday. 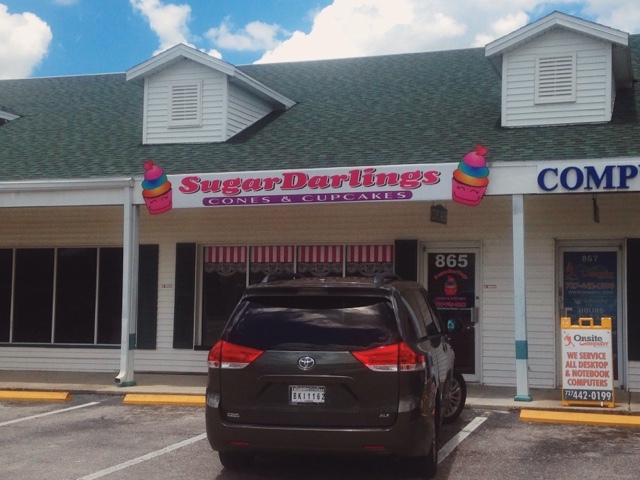 The trip up to Tarpon Springs lacks a highway, making the drive a little longer than my last 50 mile cupcake trip to Smallcakes a couple weeks ago. Halfway up to Tarpon Springs, I finally had the realization that I was probably a little insane for making all these trips for cupcakes. 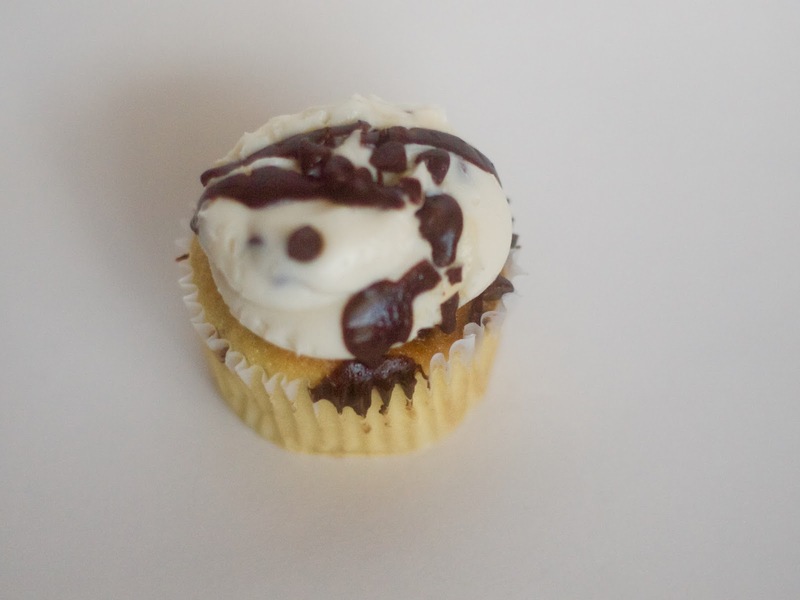 Four years after the inception of my cupcake hunting, I now realize I'm a little crazy? The bakery: Sugardarlings Cupcakes. Their third location in Tarpon Springs opened a few weeks ago, which was a real blessing. Their other locations in New Port Richey and Lutz are even farther from me in St. Pete. They offer a good selection of flavors in addition to ice cream, which is perfect for Florida this time of year. Each cupcake is only $1.50---which I thought was a mistake when I paid for two cupcakes (the price of one cupcake at other cupcake bakeries was the price of two here!). I opted for a cannoli cupcake and also picked up a key lime for a friend. The cannoli cupcake was perfectly moist, topped with the perfect amount of frosting, wasn't too sweet BUT was a little bland. It was so close to being completely wonderful but there wasn't enough flavor for me. Still a lovely snack that I gobbled up almost immediately. The key lime cupcake, I did not sample, but I did hear that it was flavorful but a little sweet. If only Sugardarlings was closer, then I could have another go to try their other flavors.